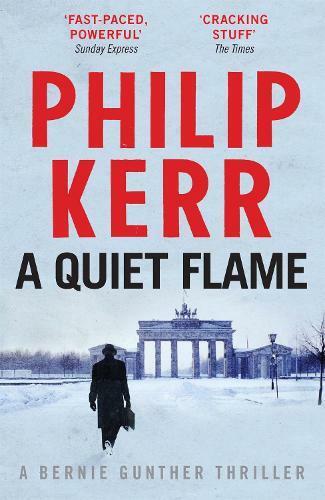 I must admit to being completely partial on the subject of Philip Kerr’s books; I thought his The One From The Other (Quercus, 2006) was one of the best crime books I’d ever read, up there with The Hound of the Baskervilles and The Murder of Roger Ackroyd. A Quiet Flame picks up where it left off, with Bernie Gunther arriving in Argentina, where he has been forced to flee after being framed as a Nazi war criminal. Having convinced the Argentine president, Juan Peron, of his true identity, Gunther finds himself recruited to solve two brutal murders. Two teenage girls have been found murdered, and the case bears a striking similarity to one Gunther investigated years earlier in Berlin. The murderer was never caught, and there seems every reason to believe he may now be at loose in Argentina. But taking on the case unleashes a can of worms that cuts right to the heart of Peron’s brutal dictatorship, and Gunther finds himself set for another hair’s-breadth escape from death. Here’s hoping there’ll be plenty more Bernie Gunther mysteries to come!